These Pierniczki świąteczne, aka Polish Christmas cookies, are the perfect make-ahead festive treat. They are easy to make, with pantry ingredients and bake in juts 8 mins. 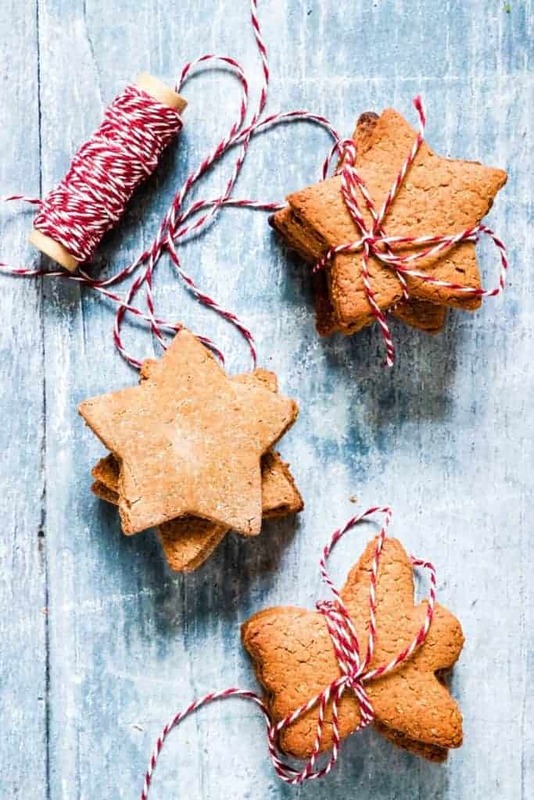 Bake these for the family, for the Christmas tree of for an edible Christmas Gift. I wish I could make these Pierniczki świąteczne, aka Polish Christmas cookies, every single day. Not only do they smell sooooooooooo good whilst baking, but they also smell like Christmas. And the Christmas addict in me just wants to shout out yes, yes, yes and put on some Christmas music, sling up a tree, unwrap presents and stuff myself with cookies all day long. 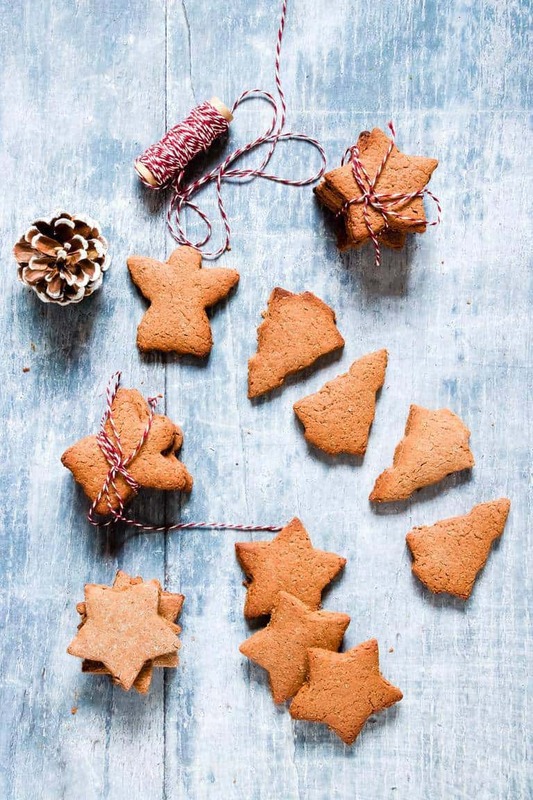 I have a feeling that one day, I will be one of those people who get themselves a Christmas tree in November (is that even possible) and will just HAVE to bake these to decorate THE tree. Any excuse guys, any excuse……..
One of the reasons I love this Pierniczki świąteczne recipe is the fact that you don’t have to refrigerate the dough batter before baking. Just think back to all those moments baking with impatient kids or hosting a coffee morning and having to count down the mins till you can start rolling out the dough. With this recipe, you just mix and go and you can have everything ready in less than 30 mins. Yeap, it is that quick and easy. I am lucky in that I have my lovely friend Ren, who included a recipe for these Pierniczki świąteczne in her new cookbook Wild Honey and Rye. So, I did not have to worry about the actual recipe itself, as I know her recipes are amazing. I would love to share some tips from her and from me (after baking them 5 times now) to help make baking your Polish Christmas cookies really easy. You get the full recipe further below. 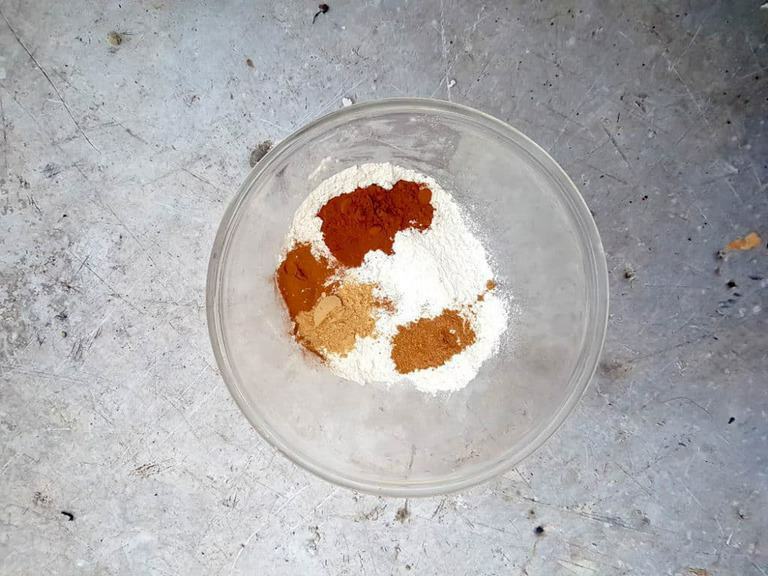 The recipe calls for either rye flour or plain flour. I decided to use about half and half rye and plain flour and that gave me a cookie texture that I like. Try a few various combinations till you get the texture that is right for you. 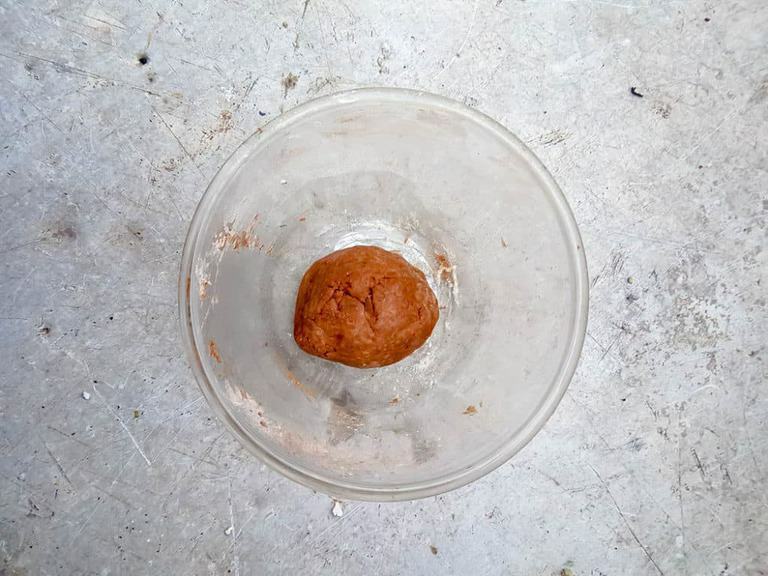 You will need to roll the dough to about 3mm thickness. Shape the dough into a ball using your hand, put on a lightly floured surface and sprinkle some flour on the top and roll from the centre outwards. Sprinkle on some flour again if it starts to stick to the rolling pin. Try and make sure you roll the dough to the same thickness along its diameter so that the cookies bake at the same rate. Get the kids involved in cutting as this makes it much more fun. Try and cut the cookies next to each other to avoid having too much cookie dough left. After cutting out the first batch of cookies you can simply gather up the remaining, roll it out again and cut out more cookies. I find that the metal cutters are easier to use, simply cut, give it a little wriggle and lift. I then quickly transfer the dough in the cutter to the baking tray and give the dough a gentle tap to release it on to the baking tray. Leave a small space between each cookie (these don’t spread that much). Bake them according to the recipe instructions below (or your version) but if you want a more even colour on all the cookies then it is worth turning the baking trays about half way through cooking. If you are going to be hanging the cookies on the tree then you want to carefully make a hole in them, using a skewer or chopstick, as soon as they come out of the oven. Do be careful to avoid making the hole at the very edge of the cookies so that they do not break (it certainly did not happen to me. Nope). Then leave them to cool. Alternatively, you can also try making the hole before you bake them using the skewer or even a straw. We decided to omit the icing as we tend to prefer our cookie plain. But you can make icing. I include Ren’s recipe below or to save time you can get yourself some shop bought ready to go icing writing. Either way, it is fun decorating and it makes them look much more like Christmas cookies. Oh and kids looooove getting involved in this bit. Making Pierniczki świąteczne with some photos. In a small pan, melt the butter sugar and runny honey over a low heat stirring. Stir just until the butter has melted. Then set aside. 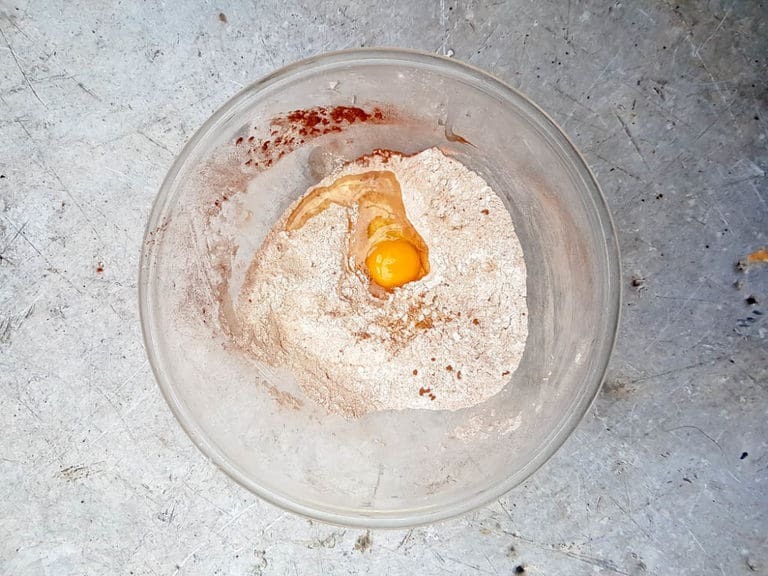 In a large bowl, sift the dry ingredients together, mix well and then add the egg and mix it all again. Pour in the melted butter mixture and stir until the dough starts to come together. Tip the mixture out onto a lightly floured table and knead it into a ball of dough. 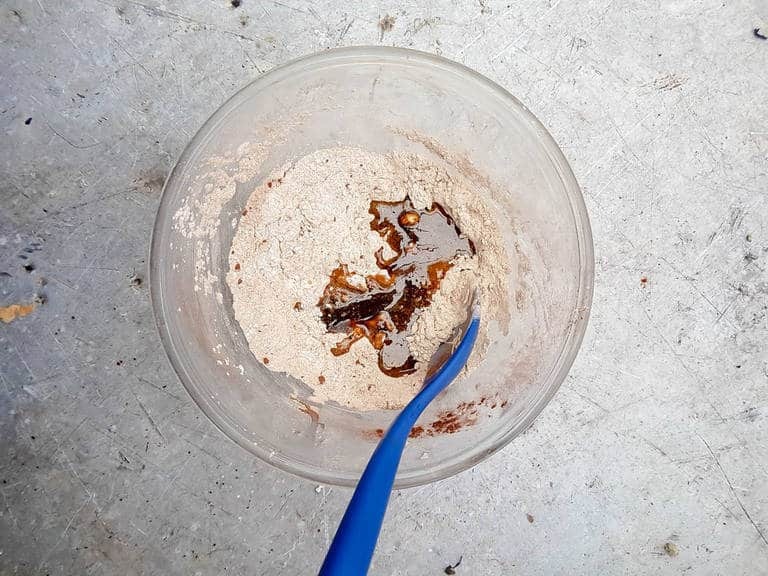 If the mixture is too crumbly, add a tablespoon of water at a time and knead again until it comes together. 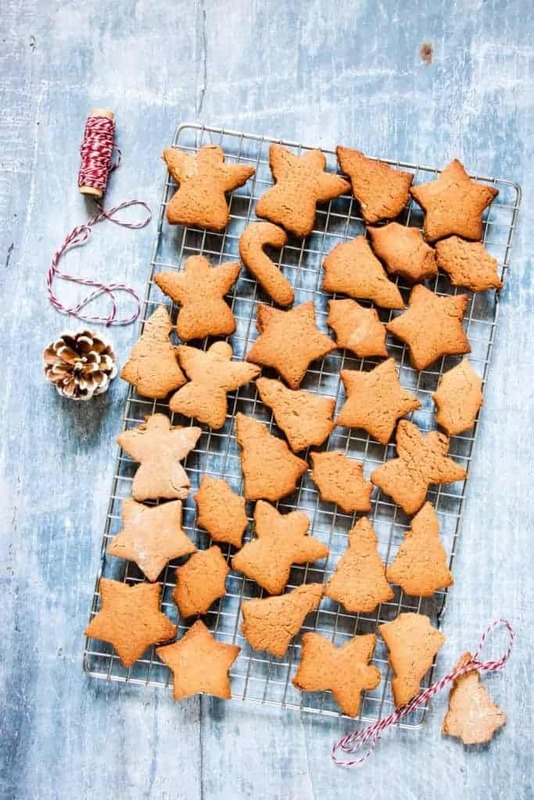 Sprinkle some more flour on the work surface and roll out the dough to about 3mm (1/8 inch) thick and cut shapes using cookie cutters and carefully lift the cookies onto the baking trays. Leaving a little space between each cookie as they don’t spread too much. Then reshape the dough, roll it out again and cut out more cookies. Repeat once more. Bake the cookies in the hot oven in batches for 7-8 mins per batch. When the cookies have baked, they should be golden and will still be a bit soft. Take them out, carefully lift them onto a cooling rack using a palette knife and leave to cool. Once cooled then decorate the cookies to your liking. For more Dessert recipes why not try these below. Vegan Peanut Butter Banana Brownie. As I said earlier this Pierniczki świąteczne recipe comes from the brand new Modern Polish cookbook Wild Honey and Rye written by the lovely Ren Behan. My knowledge about Polish food and recipes is pretty much non-existent. Or at least is limited to a discovering the delicious sausages that suddenly appeared in this country in 2004, 5 and 6 when we suddenly were able to get polish ingredients from the Polish shops springing up. Apart from that, I’ve been woefully ignorant. Then I met Ren and found out much, much more about polish food on her site renbehan.com. I still remember the first time I came across her polish apple pancakes and these polish spiced Christmas cookies. These 2 recipes inspired me to find out a little bit more about Polish cooking and then a little bit more. So when I heard that she was bringing out a cookbook about Modern polish cooking, I knew I was going to have to get it. I love that she starts with a section on the Polish Pantry – most of the items in here are staples we already have in our kitchens anyway which immediately makes me want to drop everything and whip up some Polish treats there and then. So, I did – starting with a recipe for Pierniczki świąteczne. Freddy, the bread man baked up her Honey and rye loaf which we then had topped with her soft cheese and walnuts made by the kiddoes. A whole family effort I tell you. I then decided to work through her seasonal salad section as we have a lot of veggies in the kitchen garden. Some of my favourites included the new potato salad with poppy seeds and chives (awesome combination), buckwheat and beetroot salad with feta, walnuts and honey along with her summer tomato salad. Next on my list will be her Hunters stew (love the smoked polish sausages in that, and the way you use both sauerkraut and fresh cabbage) – good hearty stews are just the thing I look for as autumn starts to chill the air but you’ve still got sunny days to go outside and work up a hearty appetite. And after that, I must try pierogi. I’ve had them once at a party and loved them. I think a lot of cultures have something similar – think Chinese “pot-sticker” dumplings – all delicious. Seeing how many recipes Ren has for pierogi really shows me what a bit of imagination and a great sense of taste can do to take a simple idea and make it new, different, and better. 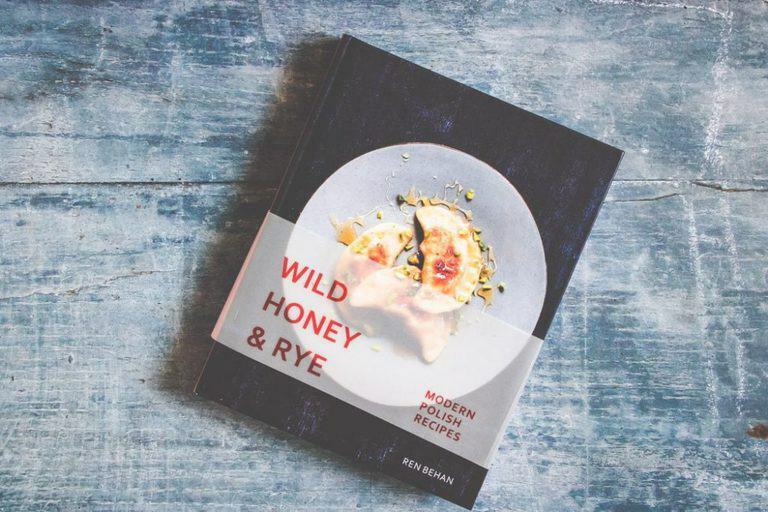 Wild Honey & Rye is certainly a must-have cookbook. 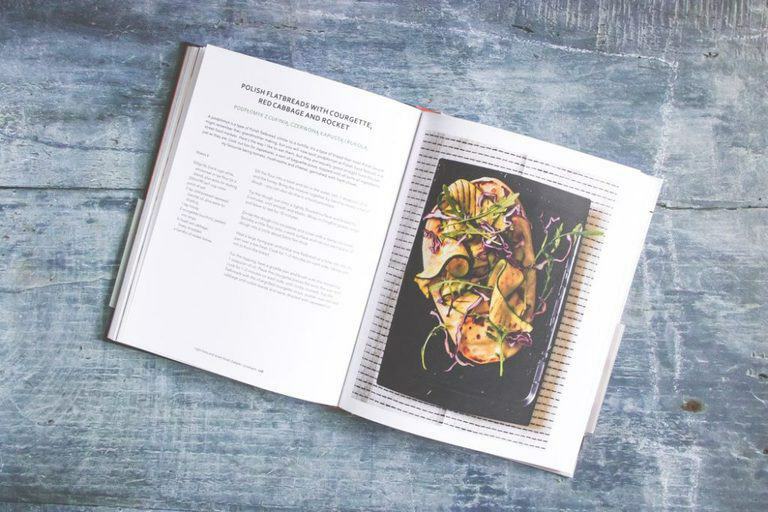 Find out more on the cookbook using @RenBehan on Instagram or Twitter and @PavilionFood1 on Twitter. Thanks to Pavilion Books for sending me a copy. Don't forget to tag #recipesfromapantry on Instagram or Twitter if you try Pierniczki świąteczne! It is really, really awesome for me when you make one of my recipes and I'd love to see it. You can also share it on my Facebook page. Please pin this recipe to Pinterest too! Thank you for reading Recipes from a Pantry. Pre-heat your oven to fan-assisted 180C /200C / 400F / gas 6 and lightly oil 3 lined baking trays. Whilst the cookies are baking, make the icing by mixing together the icing sugar, egg white and water into a thick paste that will pour evenly off a spoon. If decorating them for the tree then use a small chopstick to make small holes in the top of the cookies as they come out of the oven. Just be careful not to break the top off the cookie by pressing too hard. The cookies can be stored in a tin once cooled for up to 2 weeks, as they will soften. If using as unless used as Christmas tree decorations then they can be left on the tree for the festive period. If you don’t want to make icing yourself then you can easily buy very good writing icing in the shops, decorate them in any colour you like. From Ren Behan's Wild Honey & Rye. They’re absolutely beautiful! I’m definitely going to make these with my kids this Christmas for the tree. Lovely review of Ren’s book as well. These cookies look lovely and I like the use of coloured string. 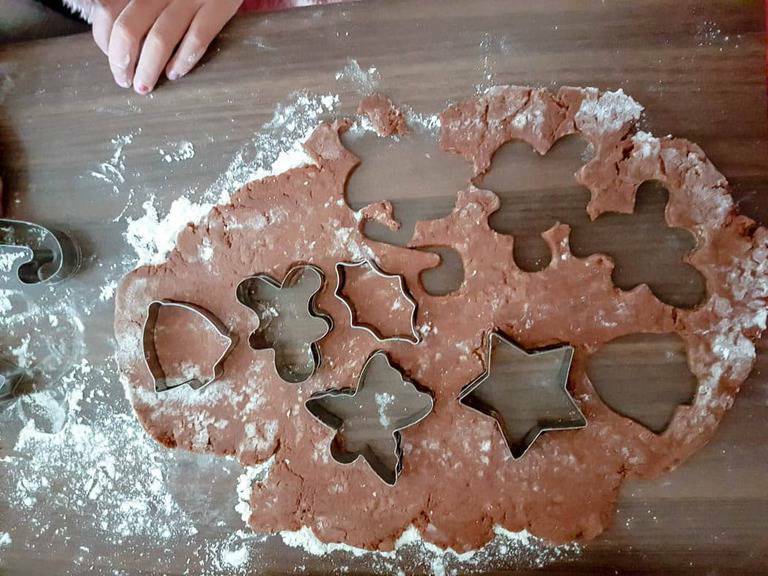 Lovely idea for Christmas themed cookies; perfect for a family activity. I love how you say they smell of Christmas, and know exactly what you mean. The book looks wonderful, and I’d be really interested to have a good browse through it. This cookbook looks awesome and I bet those cookies smell amazing! I’m travelling to Poland next month and I’ve been looking for authentic Polish recipes to try. This one looks perfect! Have a great time, Nicola! 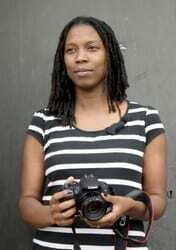 Love those photos! 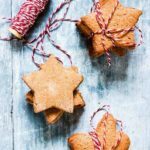 I make similar Christmas cookies but never tried using rye flour. Gotta try! These cookies sound sooo delicious with all the spices, and I love the fact that they are sweetened with honey! These cookies look delicious and do smell of Christmas as you say, Ren’s cookbook looks great! These have me so excited for Christmas!! Love all the spices!! My kids would love to help me make these!! They look great! I have never heard of these before, but they look and sound amazing. I can’t wait to get a copy of arena book. 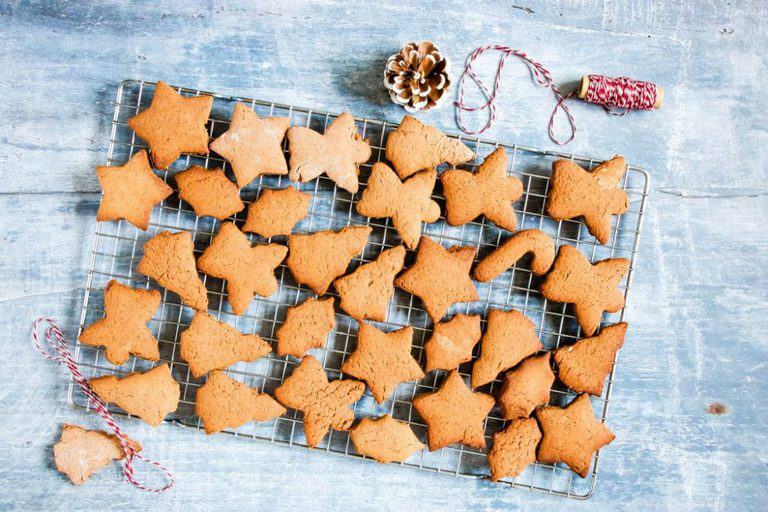 oh my gosh Bintu, you’re totally getting me into the Christmas spirit with these biscuits – they look so tasty. I can definitely vouch for the Bigos stew – I made it last week and thoroughly enjoyed it. Beautiful Cookies, I love spicy crisp biscuits. What a fabulous sounding book too. I swear I can smell these cookies!!! Dear Bintu, I love that you get so exited about Christmas! Thank you so much for cooking from Wild Honey and Rye. Your cookies look great. Always good to try recipes a little ahead of Christmas before things start to get too busy! Such lovely words about Polish food, too. Thank you!